A programme offering mentoring, networking, and training on (self-)leadership. LIBRA has designed this program as an opportunity for ambitious female scientists to get ready for the next career step as an independent researcher. Latest data from the European Union show that the numbers of women have caught up or even surpassed numbers of men at PhD and postdoctoral level, however, the picture is quite different for advanced positions, leading to a typically shaped “gender Scissors” diagram (taken from She Figures). (gender_ scissors.png). Although the EU-LIFE institutes are placed above both the EU-28 average and in all but one case above the respective national level, the numbers of women in higher positions nonetheless go down to around 26% on average. EU-LIFE is firmly set on changing this situation and initiated the European collaborative project LIBRA in 2015, with all EU-LIFE members participating. LIBRA contributes to cultural and structural changes in the partner institutes to make them places welcoming of women's contributions and finally raise the number of women in leadership positions. Many of related activities take place at the institutional level to ensure that chosen strategies, procedures, and activities fostering gender balance and equality, meet the specific need of each individual institute. Most of the actions target both men and women, some create a durable positive effect by addressing women alone. LIBRA strives to develop a work environment where women aspire to and take on leadership roles at all levels, contributing to the enhancement of scientific excellence. 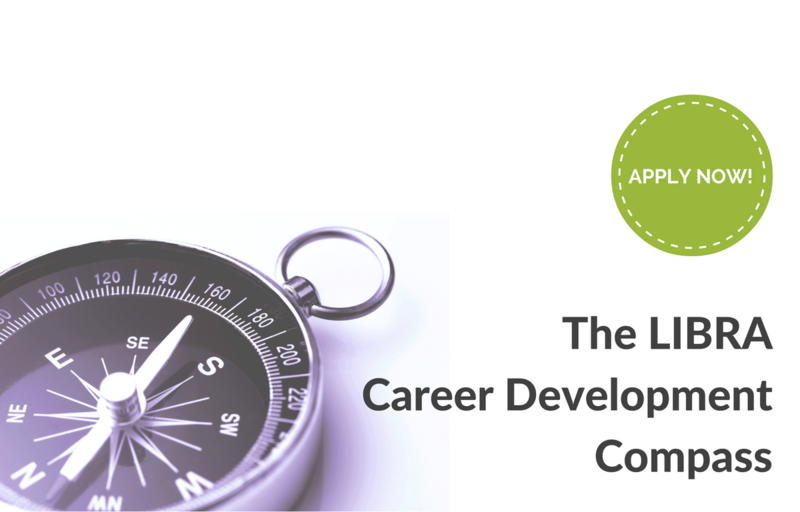 The LIBRA Career Development Compass is a programme for female researchers (postdoctoral level or staff scientists) strongly interested in a leadership position in academic research and will contribute to well considered career choices and strategies. It has been designed to actively support the participants on their paths to intellectual independence by providing information, tools and mentorship with special focus on the particular challenges women may encounter. The programme will kick off with an introductory online meeting, as a next step each participant will find their mentor, who can be chosen from a pool of potential mentors or be suggested by the participants. Mentoring meetings will take place on an individual basis. A career network meeting (June 13 – 15, 2017 in Paris) will feature talks by scientists giving insights into their lives in science and will provide the opportunity to discuss with successful women PIs about their career experience. Following this event, a 2-day workshop on self-leadership and communication will take place. The second workshop has been scheduled for autumn 2017 and will centre on strategic career planning and hands-on advice for job interview situations, panel evaluations etc. This event will be held in conjunction with a second career network meeting. These activities will be complemented by online meetings, newsletters, suggested reading etc. All female postdoctoral researchers and staff scientists, who are strongly interested to progress to a leadership position in academia, and work at one of the ten LIBRA full membership institutes. LIBRA provides 2 places per institute. Each participating organisation will choose their own participants from the submitted applications following the same procedure. Personal motivation and scientific potential are the overriding selection criteria. The programme will start in April 2017 and close in autumn/winter 2017. The deadline for applications is extended to March 7th, 23:00.